Kids eat free and check out the 2 for $3 menu! Join the Steak 'n Shake eClub to be the first to know about new coupons, special deals and new menu items from Steak ’n Shake! Members receive a FREE Double ’n Cheese ’n Fries when they join, and a FREE Specialty Milkshake on their birthday! Want more? 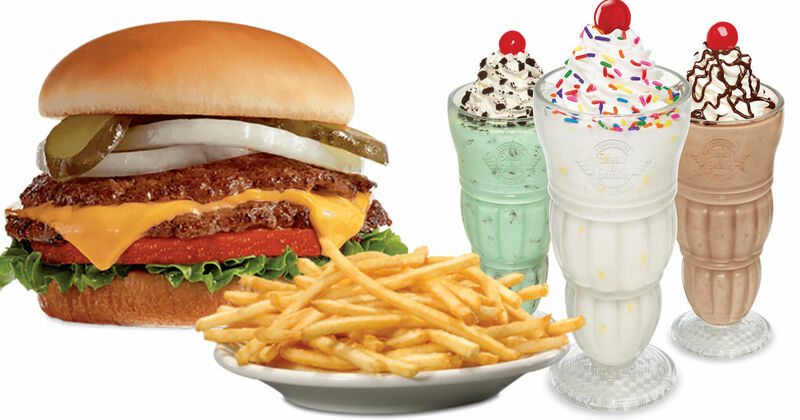 Download the Steak 'n Shake app, order and pay, pick up, and earn rewards for free food! Get a free milkshake with your first app purchase and receive $5 in rewards for every $50 spent. 2 for $3 Mix and Match. Kids 12 and under eat FREE for every $9 you spend on Saturday and Sunday. 1/2 Price Shakes & Drinks Happy Hour. Weekdays 2-5 pm.